Home of the Ellsworth Marina with summertime events including concerts in the park, a boat dock and slips, picnic tables and a fabulous display of wildlife. Knowlton Park is a gathering place for fun! An open green space with picnic tables, a play ground, and splash pad, it’s almost always bustling with activity. You don’t have to leave the city to find miles of scenic walking trails. An excellent place to hike during the summer, snowshoe and ski during the winter. Three miles of trails which pass through various forest types, along a stream, to a large marsh, and to the shore of Branch Lake. Download a PDF trail map here. The spectacular view of Ellsworth and the Union River is easily worth the short hike out to the end of the point. Today they are used for cross-country skiing, snowshoeing, running, and walking. Boats can be launched in the Union River at Harbor Park and at public boat launches on several lakes in Ellsworth. 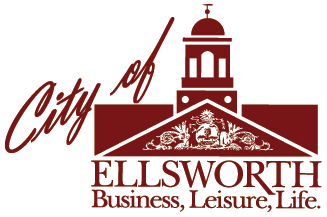 Because Branch Lake is the City of Ellsworth’s drinking water source, Branch Lake boat launch has strict regulations including a boat inspection before a craft can enter the water. Right in the heart of Downtown Ellsworth is the beautiful Harbor Park & Marina. Gas, moorings, restrooms, picnic areas and an east walk to downtown! This is a city owned facility on the Nicolin Road off Rt. 1A. There are two boat launches on Graham Lake, one state owned on Route 179 and one city owned on Route 180. Just out of town on Route 172 in Surry is a launch to Lower Patten Pond. Accessible only by carrying boat to the water.